American University Distinguished Professor Allan J. Lichtman is predicting that Donald J. Trump will be impeached. Lichtman, a political historian, has correctly predicted every election since 1984, including Trump's recent victory. 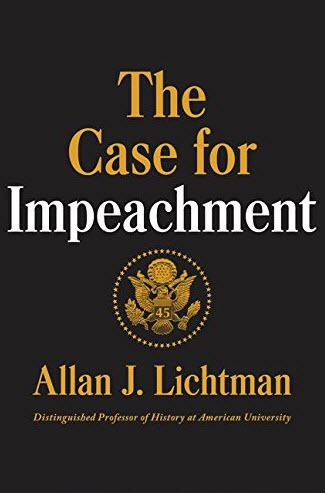 Lichtman's book, The Case for Impeachment, will be published on April 18, 2017 by Dey Street Books, an imprint of William Morrow. The timely book comes as Trump is in the midst of an investigation into whether or not he colluded with the Russians in the 2016 election. Lichtman tells exactly how the impeachment of President Trump might work in the book. He explains how Trump's actions make him uniquely vulnerable to impeachment proceedings. Lichtman also investigates Trump's dealings with Russia, his conflicts of interest at home and abroad and the numerous civil suits involving him. Lichtman also looks at presidential impeachments throughout American history. These include Richard Nixon's resignation, Bill Clinton's hearings and the often overlooked story of Andrew Johnson's impeachment. The book is available for pre-order on Amazon.com.